Founded in 1921 in Japan as a manufacturer of heatproof glass, Hario is synonymous with innovative, high-quality coffee and tea equipment. You’re probably familiar with the iconic Hario coffee dripper—the Hario V60—but this cutting-edge company also produces a suite of portable hand grinders, coffee presses, servers, decanters, drip pots and other great accessories. Explore our selection at Seattle Coffee Gear for our favorite handpicked Hario products. As the most famous of all Hario coffee makers, the Hario V60 is one of the simplest and most elegant coffee drippers around, and it’s well regarded among pour-over fans. Featuring a signature cone shape with spiral ribs, this dripper helps you brew a solid cup anywhere without any fancy equipment. 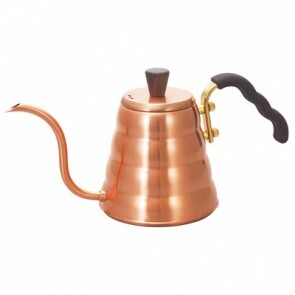 The Hario V60 comes in ceramic, copper and glass, and we carry them all at Seattle Coffee Gear. Beyond the V60, we carry a wide range of other accessories from Hario. Filters, kettles, scales, presses, and so much more, whatever your need we’re sure we can provide here at Seattle Coffee Gear! We’re always happy to help you find the right product to fit your needs, and we offer a ton of great resources over on our Blog and Coffee 101 pages as well!